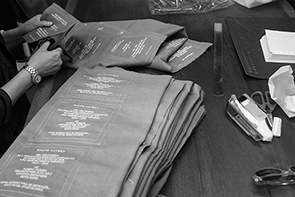 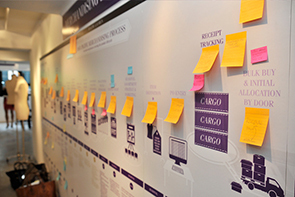 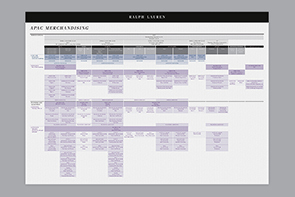 The End-to-end Merchandising Process Chart we created is being reprinted and installed in their New York headquarter after the event. 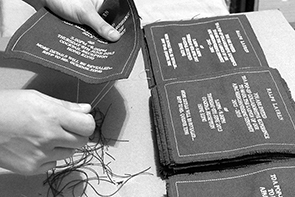 The team is still using it as guidelines. 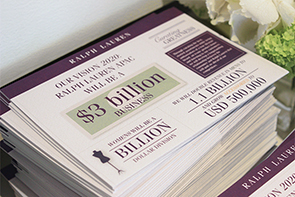 Ralph Lauren has once commented on the project with “I’m inspired!”. 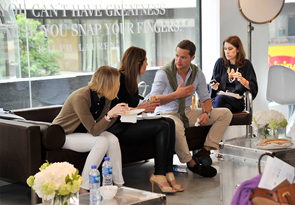 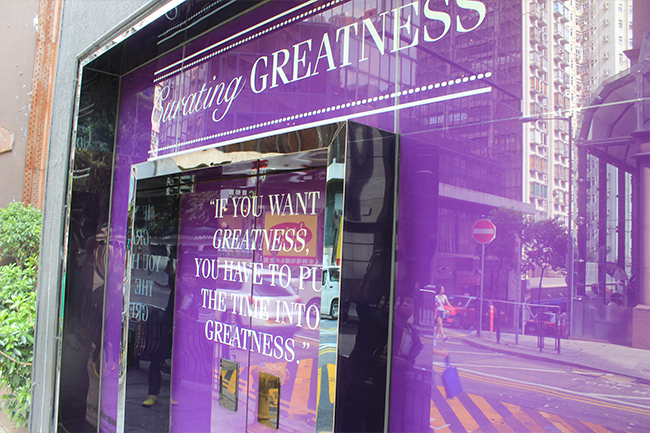 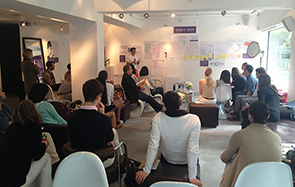 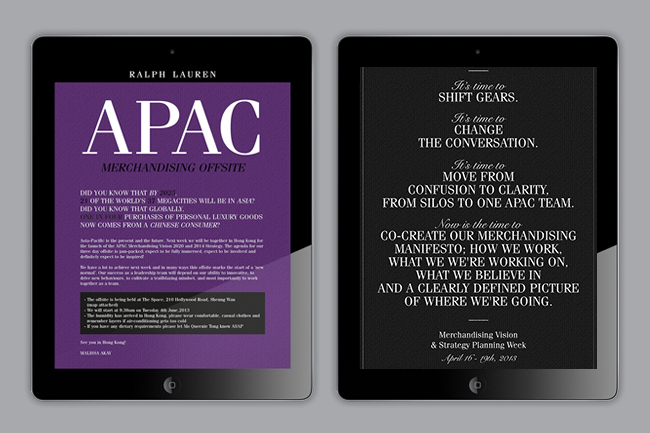 On 2013, Ralph Lauren Merchandising department wanted to launch a new strategy, GREAT strategy, together with a 3-day leadership offsite meeting in Hong Kong. 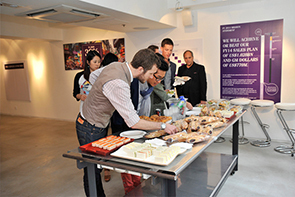 It was a chance to hit re-set, come together and create a unique experience. 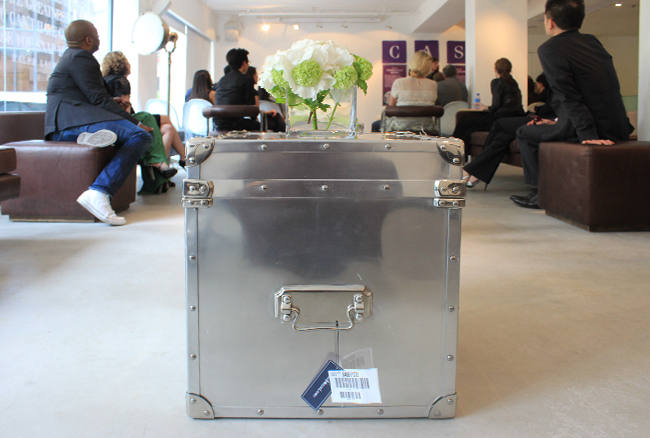 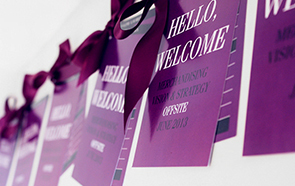 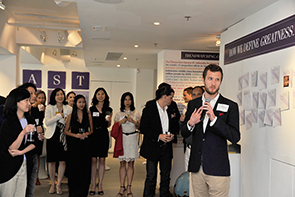 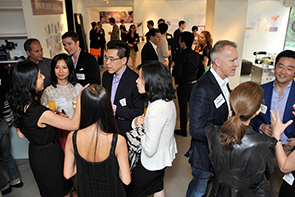 We wanted to create an exceptional offsite event for them. 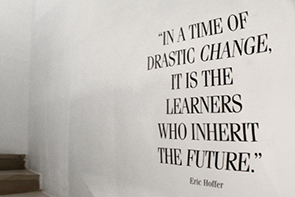 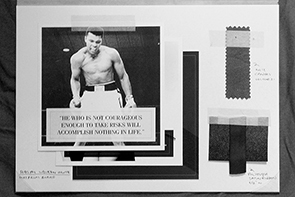 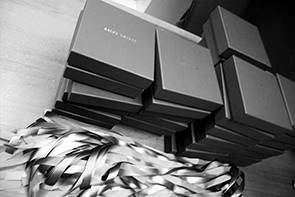 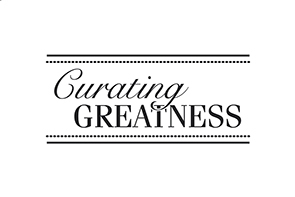 We developed "Curating Greatness" as the theme as we know Ralph Lauren love movies. 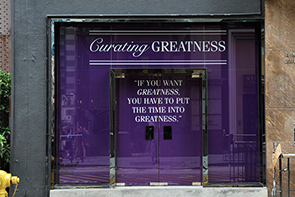 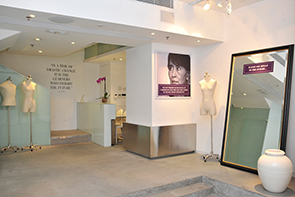 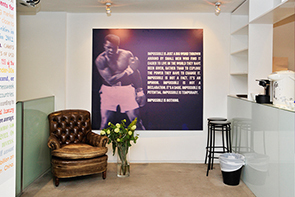 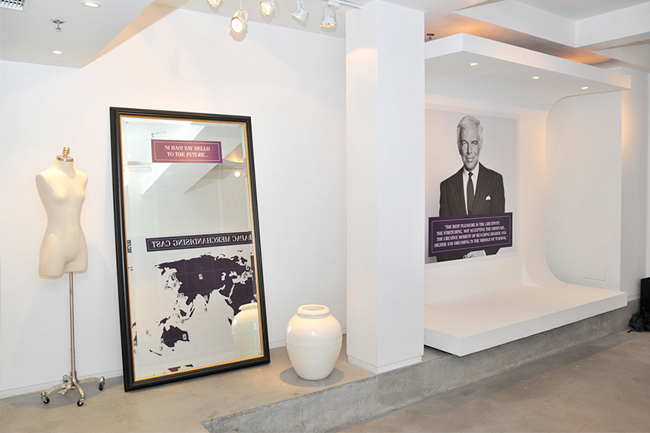 We chose The Space in Hong Kong to create a pop-up art gallery event. 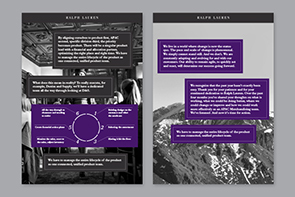 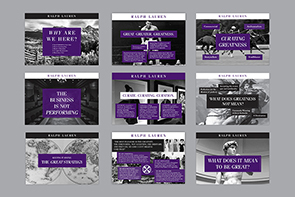 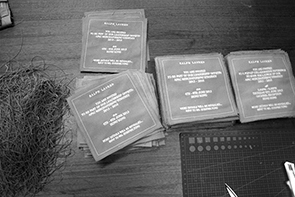 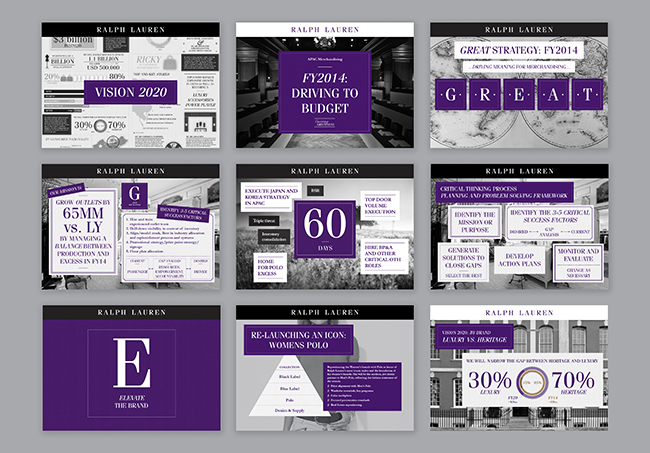 On the visual identity, we developed a full set of event materials based on the purple label of Ralph Lauren, a high level, luxury and elegant feeling. 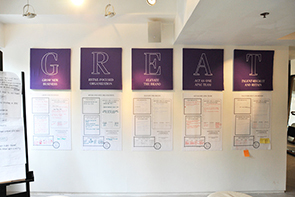 We also called out the key points of the GREAT strategy and create different presentations and artwork posters to decorate the venue. 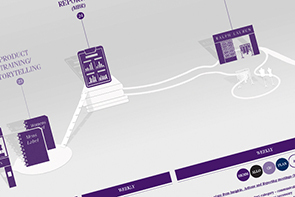 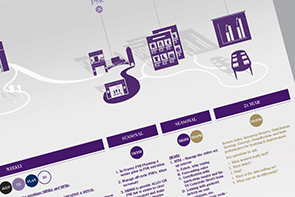 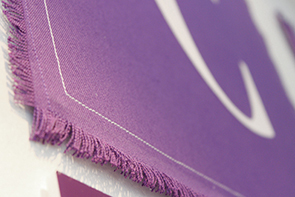 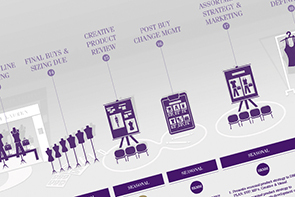 The most important piece of work is the End-to-end Merchandising Process Chart. 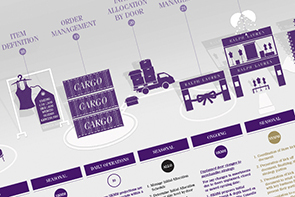 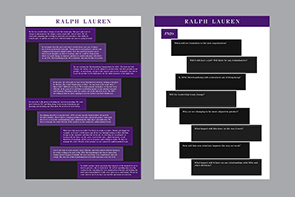 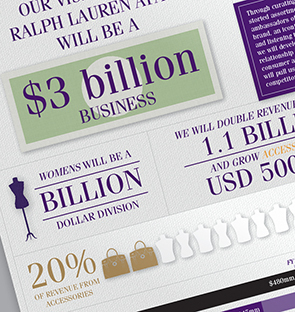 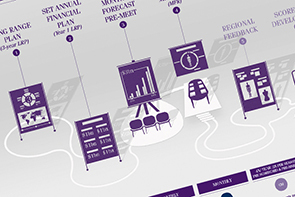 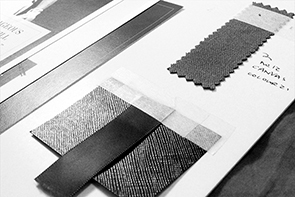 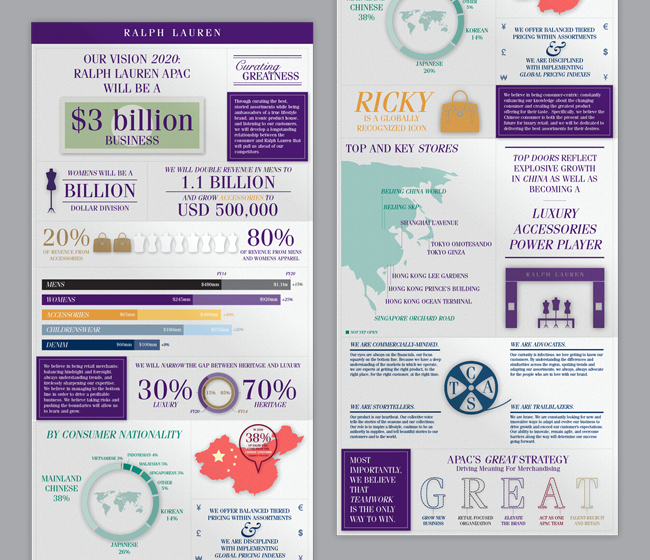 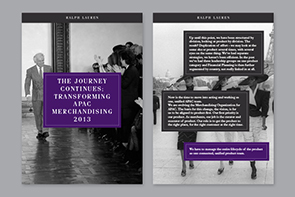 We used graphic style to present each steps of the whole merchandising process in Ralph Lauren. 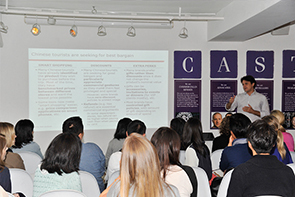 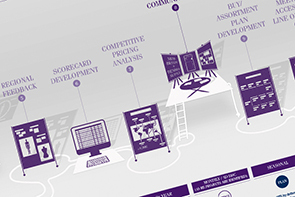 The attendees can understand clearly their duties and position among the whole team. 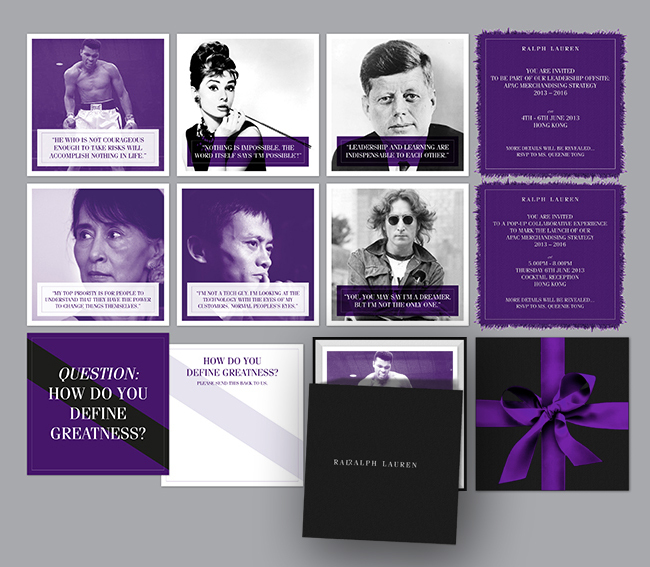 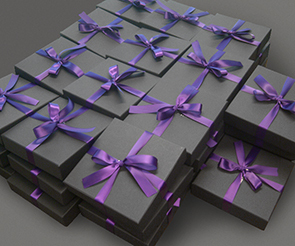 For the invitation, we created a black box set wrapped with purple ribbon for the top 30 VIPs with a few cards that include quotes from great figures in the world, and an embroiled invitation on Ralph Lauren signature purple polo shirt fabric. 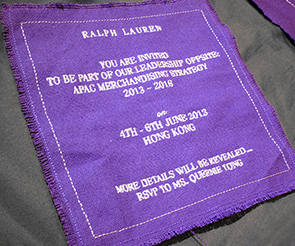 This embroiled invitation is also given to all other 120 employees.